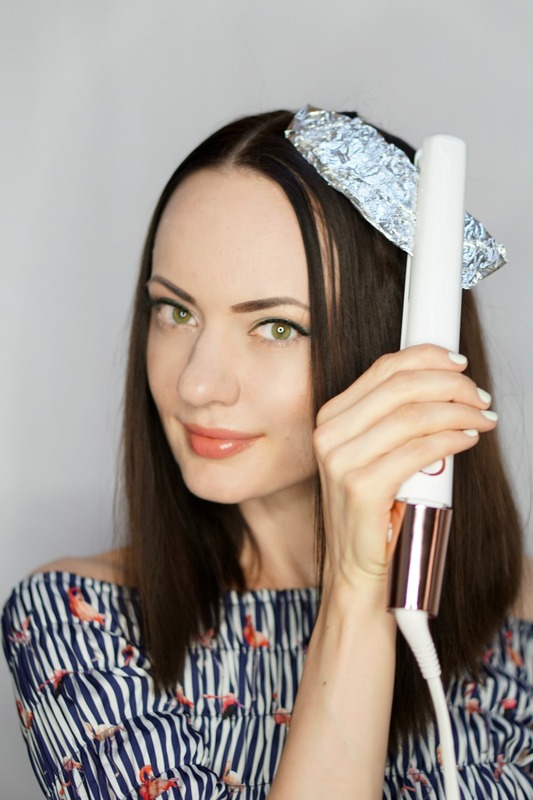 Curling your hair with tin foil might sound like a weird idea, but you’ll be surprised how effective it is once you tried it yourself. If you have thin, fine hair like mine, this trick is a total life changer. 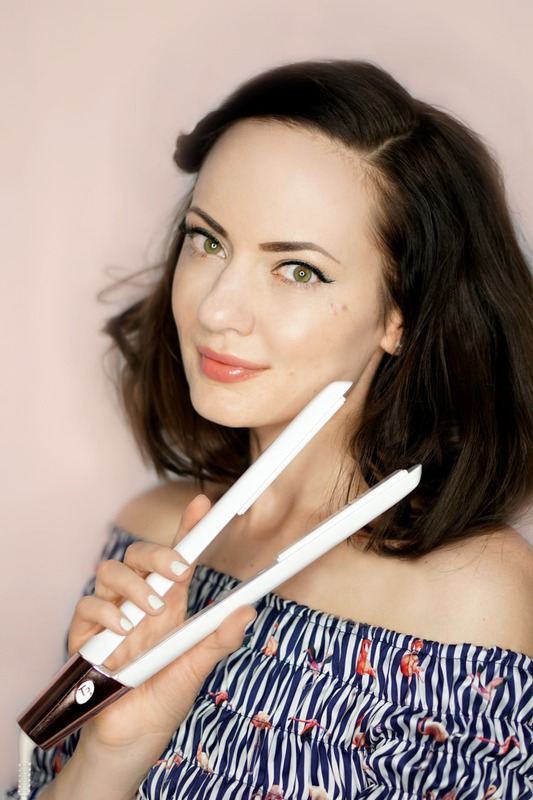 It takes much less time to finish your entire head than with a regular curling wand, not to mention that it’s much less traumatic for those who just start experimenting with hair styling tools (I mean, who didn’t burn their faces or hands with a curling iron?). 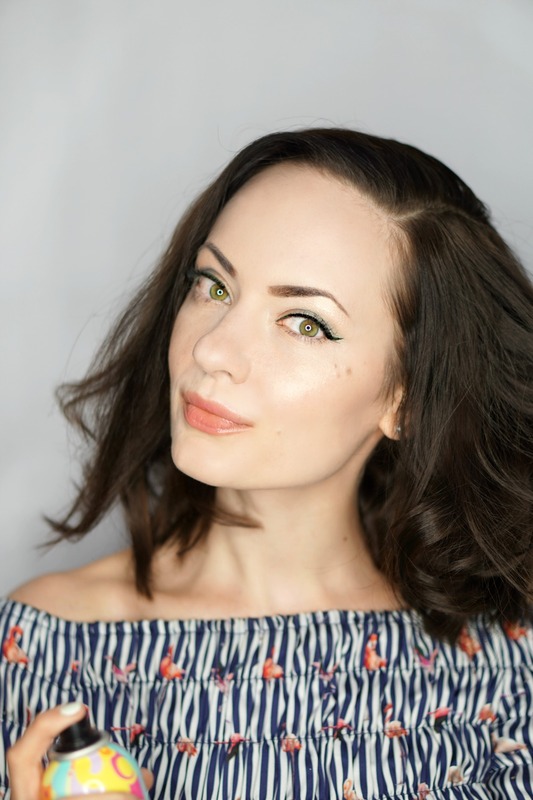 In this tutorial, I’ll be using my new favorite flat iron by T3, the SinglePass Luxe. It’s a newly launched professional flat iron that everyone in the beauty world is obsessing about. Why? Because this awesome hair styling tool is a top-notch multitasker. It allows you to create not only an ultra-straight hair look (with an added benefit of super shiny, frizz-free hair), but also voluminous layers, flips, waves, and even curls! Right after I received this product for testing purposes, I eliminated four other straighteners from my collection. I figured that my hairstyle lasts longer with the SinglePass Luxe so I decided to keep just this one tool in my bathroom so save room. If you don’t have the exact same straightener, don’t worry! To create this look, you can use any ceramic flat iron. As you have already guessed from the description, you’ll also need some tin foil (the same one you use for cooking will do). I recommend cutting your foil in pieces ahead of time so you don’t need to cut it each time you are rolling your hair into a loop. Finally, make sure to have a comb and a hairspray on hand while working on this look. Step 1. 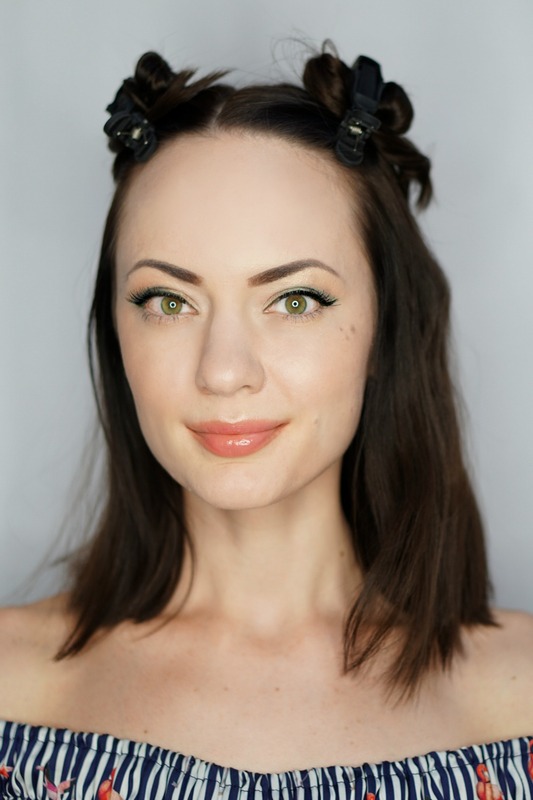 As you can see in the photo, I divided my hair into two sections and secured them on both sides of my head with styling clips (mine came with my T3 SinglePass Luxe flat iron, but you can also use any other professional or decorative hair clips). Step 2. Grab a small section of your hair and wrap it around your finger in a loop. Make sure that the end of each section stays in place so your hair looks wavy from top to bottom. PRO TIP: It doesn’t matter which direction your loops are facing—you’ll still get great results using this method! Step 3. Grab a piece of tinfoil and wrap each loop of hair in it. 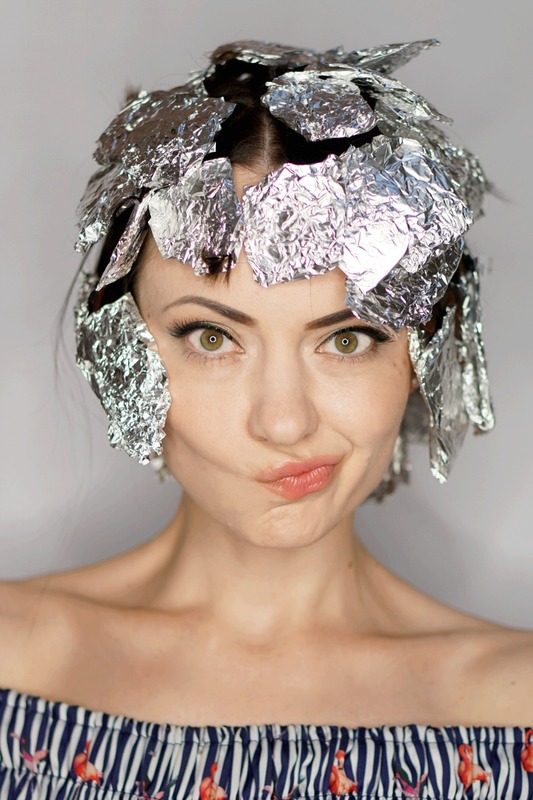 Don’t use too much or too little aluminum foil for those purposes—your hair should be fully covered, but you don’t need many layers of foil on top of your loop. Step 4. Using a flat iron, scrunch the foil 3-4 times. Be careful, the foil will be very hot for the next few seconds, so either use heat-protective gloves or make sure you arrange your foil pieces in a way that those do not touch your face. PRO TIP: While you can put tinfoil all over your hair and then warm up each of the foil “cocoons” I recommend heating your foils one by one. That way, you’ll allow each piece to stay warm for a longer period of time (read: your curls will last longer!). Step 5. Take out the foils one by one. Spritz with some hair spray and you are all set! I hope you enjoyed this fun flat iron trick! Please comment below if you ever tried it yourself. 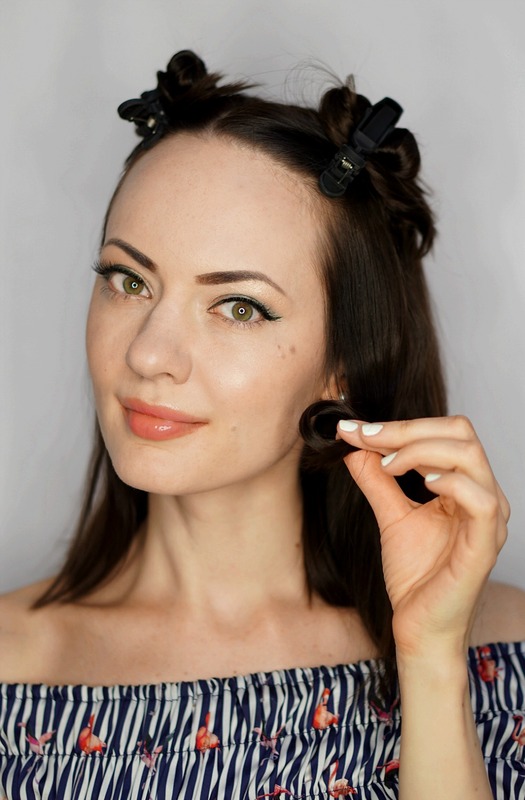 Also, please let me know if you want to see more hair styling hacks posts on my blog—I’d love to share each and every one of them with you! 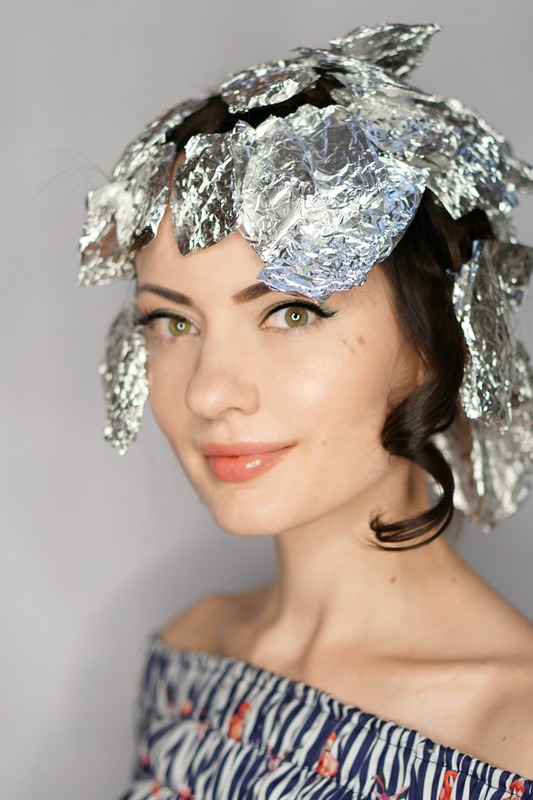 There you have it: my tips on how to curl your hair with tin foil and flat iron. I wonder if you had a chance to try this trick out? If so, how did you enjoy this technique?